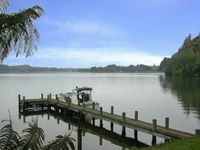 Properties in Lake Rotoehu average 4.4 out of 5 stars. Property 11: The Love Shack luxury Lake Edge Escape. Property 18: Secluded private beach/ jetty. 30 acres. Pet friendly. THE WOW FACTOR The Bach you've been looking for. Property 21: THE WOW FACTOR The Bach you've been looking for. Property 29: Life On The Lake Where will you be? 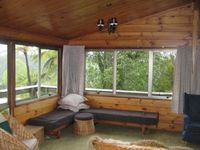 Property 44: Waterfront Exec Retreat Rotoiti with heated pool, spa and sauna. Pet friendly.